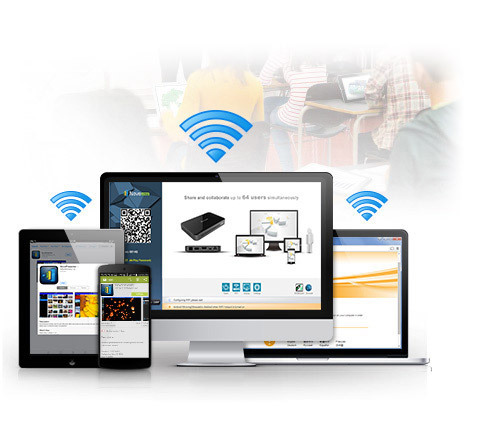 NovoPRO is a wireless presentation and collaboration device, designed for modern interactive meeting rooms and classroom learning activities. NovoPRO supports true screen mirroring from iOS and Android devices. It features screen preview/moderator control, 4-to-1 projection, video streaming, instant response system (IRS), file sharing, and access to cloud-based resources. Built-in, whiteboard-interactive features encourage meeting or classroom participation, and all Novo's can be managed remotely over the network. For guests to join the meeting instantly, the optional Launcher set allows for instantaneous screen sharing though this plug-n-play USB connected device without installing any software to their laptops. 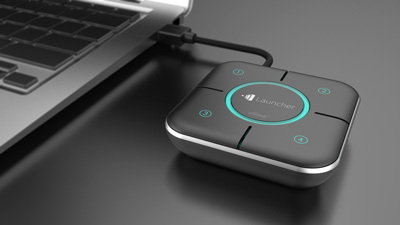 The Launcher set consists of a hub with 4 devices and operates with Windows and Mac.The four placement buttons that assign the split screen and connect button are very intuitive. 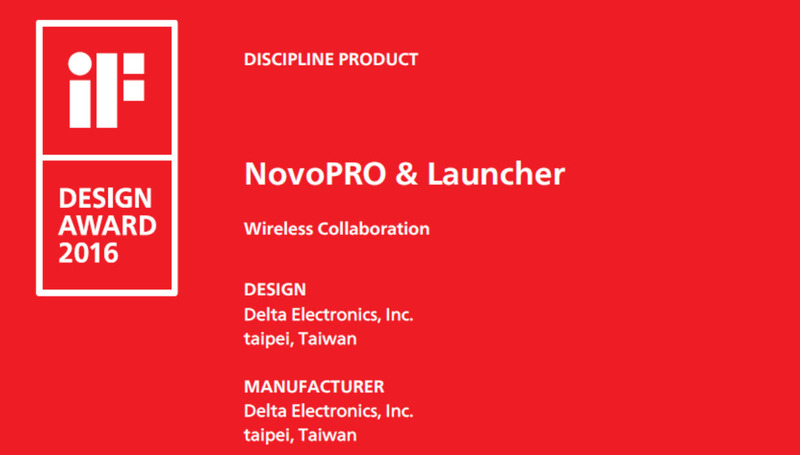 NovoPro and Plug & Connect Launcher has received two honorary awards this year. The prestigious Top New Technology @ ISE Award and the iF Design Award. 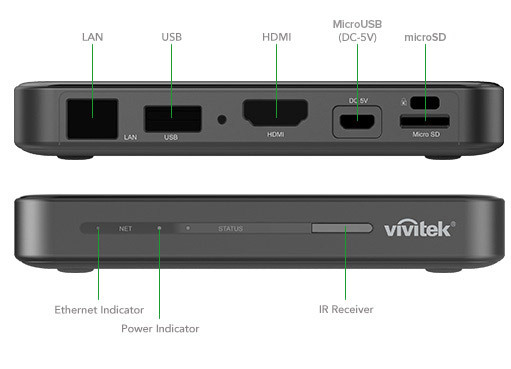 NovoPRO connects to your display via HDMI and supports HD 1080p at 60 FPS. It supports video playback of 4k Ultra HD at 30 FPS using only the microSD slot.